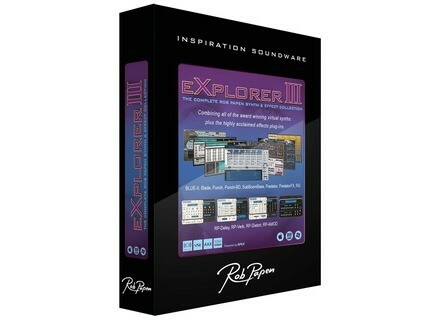 eXplorer III, Computer Music software bundle from Rob Papen. From now on, SubBoomBass is available for $99 and BLUE-II for $149. 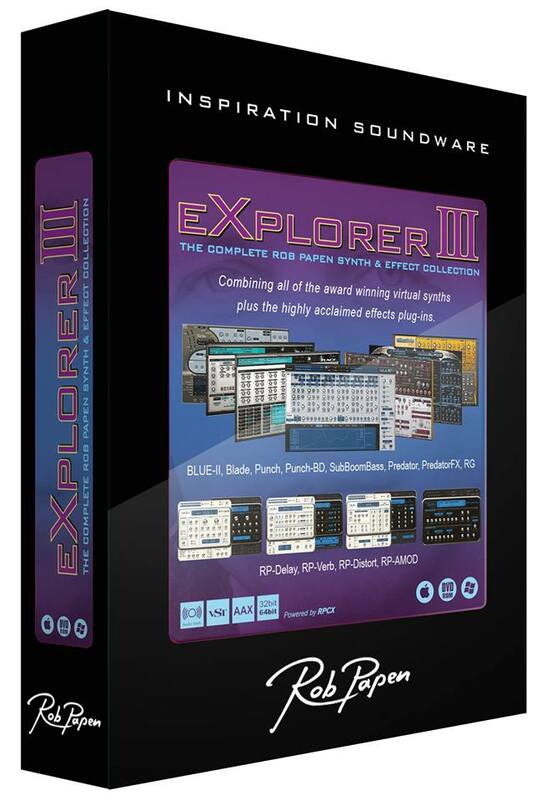 As for the eXplorer-III bundle, it is now priced $599 but can also be acquired at reduced prices through several upgrade options ranging from $49 for eXplorer-II owners to $399 for owners of a single purchased Rob Papen product. More details available at www.robpapen.com. 30% off three libraries at 8dio Until March 1st, 8dio offer a 30% discount on three of their drum and percussion libraries. Xtant Audio announce Michaela's Harp Xtant Audio has been working on a series of Celtic instruments for Kontakt, and the first of them (to be released next week) is a harp. Flash sale on Waves' Puigchild Until this Wednesday only, Waves prices its Puigchild vintage compressor plugin at $49.